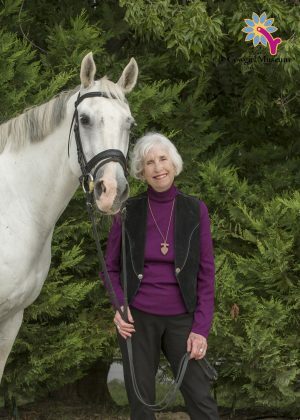 Dickens has dedicated her life to helping others, pioneering the use of horses to facilitate healing – both emotional and physical – in children and adults alike. As a young girl, she felt fascination, even a spiritual connection to horses. She attended college to study physical education specifically to teach horseback riding. She taught horsemanship for four years at Camp Mystic, a long-established summer camp for girls, long enough to buy her own horse. After working as the activity director for a psychiatric residential treatment center that treated children suffering from severe forms of abuse, she had the bold idea to combine her love of horses and helping others. In 1996, Dickens co-founded Wings of Hope Equitherapy with Patti Pace, and served as the executive director until 2010. This organization, under Dickens’ guidance, has provided therapeutic horseback riding instruction to those with various disabilities for nearly 30 years. Wings of Hope Equitherapy is now a Premiere Center, fully accredited by the Professional Association of Therapeutic Horsemanship (PATH) International, an organization established in 1969 as North American Riding for the Handicapped Association. All instructors are PATH certified, and have extensive experience with both horses and riders with disabilities. They serve clients who range in age from 3 to 78. Dickens now serves on the board of directors.